Based upon the changes to Florida Statute 61.13001 there have been increasing numbers of child Abduction/Parental Kidnapping cases in the State of Florida. Many parents unknowingly remove children from the jurisdiction and are committing parental kidnapping by not obtaining the Consent in writing prior to the relocation with the child or children. Once a person has violated Florida Statute 61.13001, then the other parent/party is required to file a Motion for Contempt of Court and seek a pick–up Order for the other parent's action. Even if the Court grants the pickup Order and holds the other parent in Contempt of Court, the enforcement of this matter can be extremely difficult. A Judge from the State of Florida does not have jurisdiction over Law Enforcement officers in another state and so the Order entered must be domesticated or ratified and approved by the jurisdiction where the minor child has been improperly relocated. Therefore, it becomes necessary to have an Attorney in that jurisdiction to assist in the enforcement of the Order and picking up the child. Most Attorneys don't handle large numbers of parental abduction matters, so it is crucially important to either have your local counsel, such as me, investigate and find the right attorney for the job. That Attorney then domesticates the pickup Order and obtains the assistance of local Law Enforcement to help retrieve the child or children. Once this occurs, the parent then flies to the other jurisdiction and brings the child back. 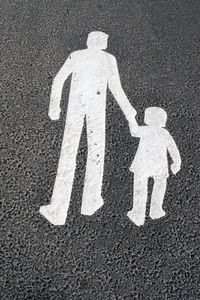 Child Abduction / Parental Kidnapping is both complicated, time–consuming, and expensive. Based upon my experience and knowledge I can assist in cases of this nature.